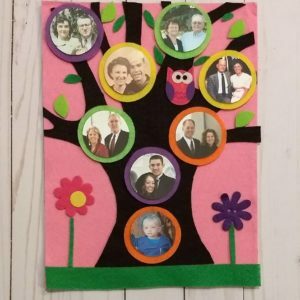 Create your own felt family tree – an interactive activity for kids. 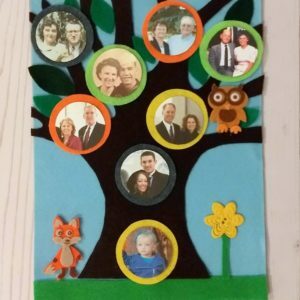 Velcro goes on the back of the photo circles, ladybug, and flower so children can move pieces and play with putting family members on their family tree. 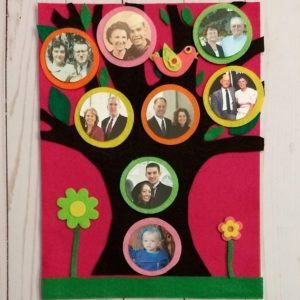 Put the kit together with hot glue or tacky glue.